Extensive experience in the development and production of professional acoustic systems helped SKV Sound Pro to win over many customers. In the creation of acoustic systems used the dynamics of world famous companies Eighteen Sound, P. Audio, Eminence. The rigid construction of an aluminum or composite diffuser eliminates the need for a dust cap and helps ensure piston movement. The case is designed to perfectly match the size of the driver, while not forgetting about the internal volume required for the issuance of powerful bass. All WINNER subwoofers are compatible with almost any amplifiers, receivers or processors due to the possibility of selecting the LFE input or LINE line input. All amplifiers built into the WINNER subwoofers are hardy enough to provide high performance and a wide dynamic range, and are able to give out a little more when needed. The latest addition to the British brand’s five-strong CM series, the CM6 S2 is the only stand-mount in the line-up to feature ‘Tweeter on Top’ technology, which sees the 25mm tweeter mounted within a decoupled pod atop the main cabinet. 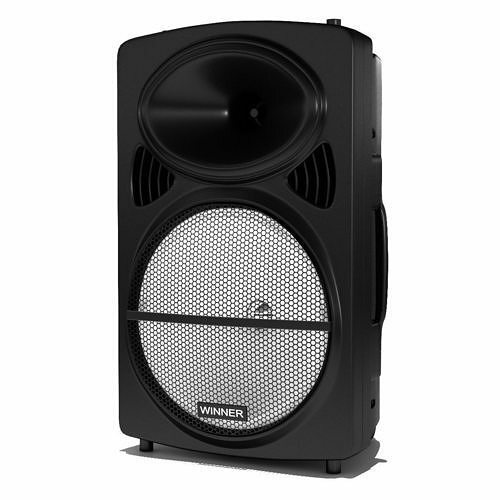 The cabinet itself houses a 165mm woven Kevlar bass/midrange driver and is designed to be used with dedicated bolt-on FS-CM2 stands – though self-adhesive rubber feet are provided for those who wish to shelf-mount the speakers. Meanwhile, a rear port with optional foam bung allows for some fine-tuning of the bass. For those with smaller listening rooms who prize a sweet treble, this refined and insightful loudspeaker delivers a sound whose impressive scope and scale belies its diminutive proportions. Part of a new series of loudspeakers that sits between the company’s Electra and range-topping Utopia models, the Sopra Nº2 uses a 3-way design with Focal’s ‘W-coned’ drivers combining a pair of 18cm woofers, a 16.5cm midrange and one of the company’s tried-and-tested beryllium inverted-dome tweeters. The Sopra Nº2 is the fruit of Focal’s continuing work on magnet and driver suspension design, all aimed at reducing distortion. And that work has paid off: the Sopra Nº2 enchants with a sound that’s by turns spacious and explicit, powerful yet unforced, setting new standards in its category. The 8.17 is a newly developed subwoofer replacing the well-known 99W8.16 which has a strong fan base among hi-fi enthusiasts. It is astonishing the deep, powerful and yet accurate bass this small subwoofer can create. As the smaller brother of the 10.17 and 12.17, the driver that is used for the 8.17 has been adapted from the Cinema series to provide the highest rigidity and a very low weight. Driven by a newly developed power amplifier which offers 200W RMS and up to 350W peak power, the 8.17 is able to achieve a lower limit frequency of 29 Hz (-3 dB). This subwoofer is the perfect choice for enjoying precise and natural bass. Model created in 3DsMax 2016 and converted for 3dsMax 2013, rendered with Vray 3.2. Textures paths set to relative.